The Gum Springs Youth Athletic Association, located in Alexandria, Virginia (with its primary focus on the Route One Corridor), provides opportunities for youth to participate in competitive and recreational sports such as youth football and cheerleading. GSYAA sports programs help develop skills such as respect, sportsmanship, teamwork, and leadership. We also encourage good health, fitness, learning, enjoyment, and cultural enrichment. Furthermore, GSYAA provides opportunities for community involvement. Gum Springs Youth Athletic Association currently provides the following youth sports: youth football, cheerleading. We are looking to revamp some programs and create new opportunities in the near future. Gum Springs Youth Athletic Association is a non-profit organization ran solely by volunteers. As we continue to provide the best experiences for our youth, we are always in need of more volunteers. Gum Springs Youth Athletic Association is located at the Gum Springs Community Center: 8100 Fordson Road, Alexandria, Virginia 22306. 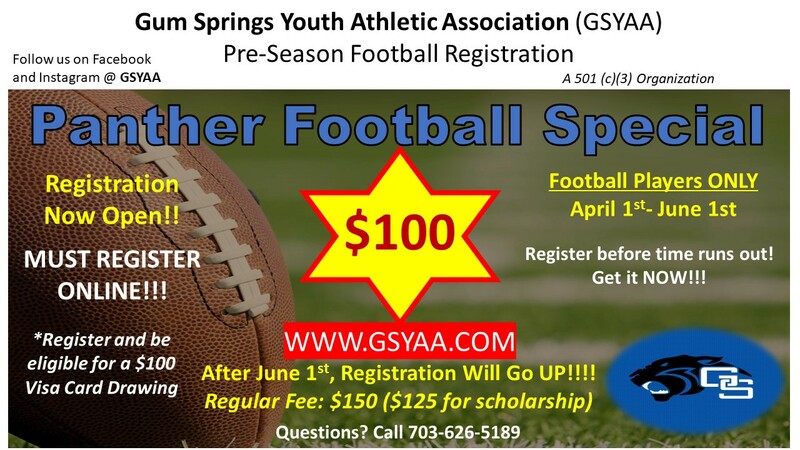 Gum Springs Youth Athletic Association is a member club of Fairfax County Youth Football League and Fairfax County Youth Basketball League. 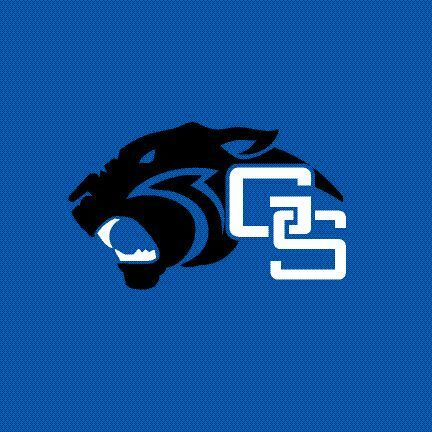 Our Football Panther Special is now open for registration. Please go to www.gsyaa.com to register online. Our registration fees will increase to $150 ($125 for scholarship) on June 2, 2019!